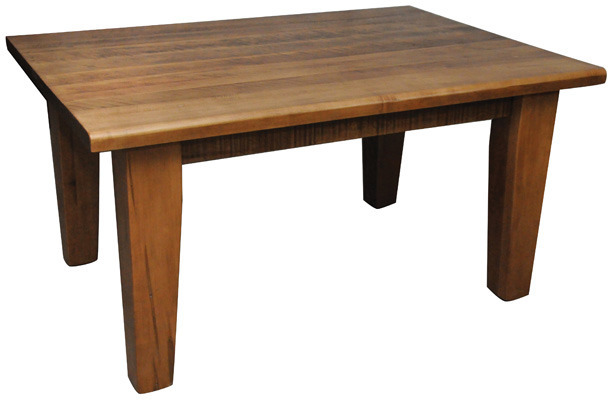 Harvest Series Dining Tables. 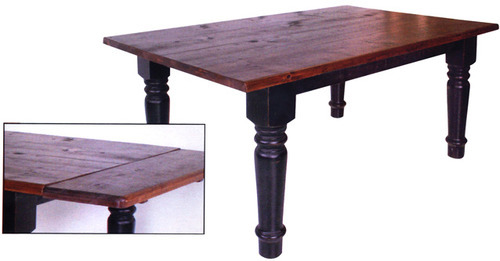 Solid wormy maple table series has great rustic simplicity with it's solid wood construction, rough sawn texture, and simple design. Plug In End Extension tables come standard with round over edge. Breadboard Extension tables come standard with eased edge. Choose from 3 different leg styles: turned (main photo), shaker (gallery photo), and square (not shown). All leg styles feature 5 1/2" thick legs. Choose from multiple sizes and extension leaves or bread board extension leaves or no leaves. FOR SIZES NOT SHOWN CONTACT US! Two-Toning as shown also please contact us!